The Premier League has been urged to become the “Netflix of football,” with a business expert highlighting a major oversight from the English top flight. 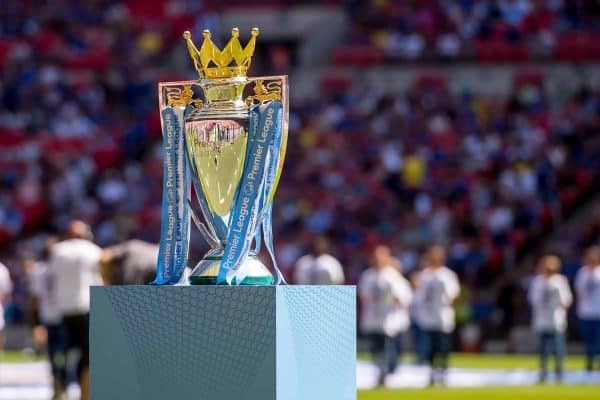 With the current TV rights deal due to expire at the end of the season, Amazon broke the monopoly of Sky Sports and BT Sport to secure one of seven packages for 2019 to 2022. This ensures that over £5.6 billion will be paid over the next three seasons, with 220 live games to be shown on TV and through Amazon’s streaming service. Jordan detailed his plan for the league to become the “Netflix of football,” suggesting an £8-a-month subscription fee to broadcast games would eclipse the current income from BT, Sky and Amazon. He described the Premier League in its current financial state as a “movie of the week,” comparing its revenue to that of the Iron Man franchise—which, of course, is not played 10 months a year. “I’ve spoken about the Premier League becoming the Netflix of football, ie. the video-on-demand platform that controls its own product,” he said. “Guess what Netflix does? It doesn’t have any content; it’s starting to get its own content, but it buys everybody else’s content. The Premier League‘s got its own content. Jordan described his experience speaking in front of representatives of Premier League clubs including Liverpool, and how he was “stunned” by their reluctance to push forward. “I spoke at a BT and Sunday Telegraph conference, about the business of football,” he explained. “And it stunned me while sat in a room with the Liverpools and Tottenhams of the world, when the question was ‘what is the next frontier for football and its evolution financially?’, and the message was ‘if it ain’t broke, don’t fix it’. “I’ve been out of football for six years as an owner, and I feel I’ve joined HG Wells in ‘The Time Machine’ and gone back with the bleeding Morlocks. “How can it be that if it ain’t broke, don’t fix it? “The broadcasters have one agenda: their own. BT is a telco that’s trying to make sure that its broadband business is protected, and that’s why it’s in football. “And the challenges and opportunities for football are so engaging and so interesting, and so opportunistic. It is certainly an attractive theory from Jordan, as though whether it is possible is questionable, it would be a much better situation for supporters. 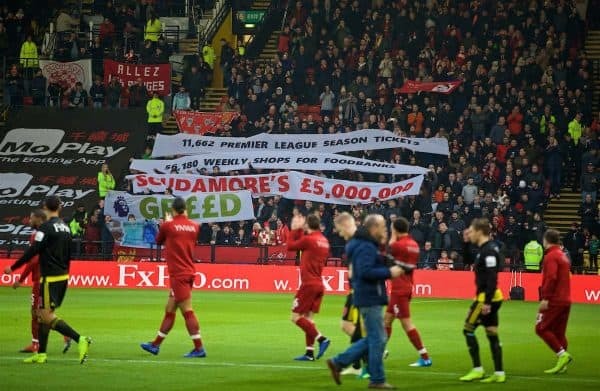 Heading into next season, fans in England will be required to pay subscription fees to each of Sky, BT and Amazon to see their club in action—and there is no guarantee the majority of their games will be broadcast. Liverpool fans are, in a way, fortunate as they are invariably on TV, but it can also be argued that the 3pm blackout law is now outdated, with the possibility of broadcasting every game through a ‘Season Pass’ more realistic. This remains an unlikely reality, as the stranglehold Sky and BT in particular have on the Premier League seems unbreakable. But with the developments in how TV is consumed in modern society, it is clearly worth considering whether football is moving in the right direction.